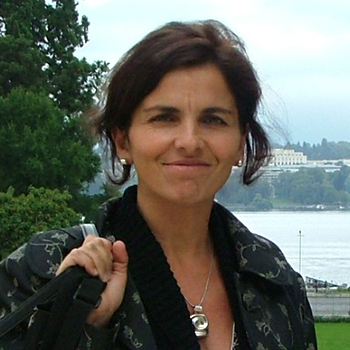 Veronica Boix Mansilla is a Principal Investigator and Steering Committee member at Project Zero, Harvard Graduate School of Education, where she leads the IdGlobal Project and chairs the Future of Learning Institute. With a background in cognitive science, human development and education, she examines how to prepare our youth for a world of increasing complexity and interdependence. Her research focuses on three main areas. She studies (a) global competence as it develops among learners and teachers in various world regions; (b) quality interdisciplinary research and education among experts, teachers and youth; and (c ) quality teaching and learning in disciplines (history, biology, the arts) as lenses through which to understand the world. Veronica’s work has produced frameworks and practical tools to support educators in interested in quality teaching, learning, curriculum, research, assessment, professional development, and program evaluation. Her writing on interdisciplinary work and evaluation—has informed National Academies of Science, National Science Foundation, International Baccalaureate’s interdisciplinary initiatives. Her work with the Asia Society on Global Competence education set the foundation for the US Department of Education’s International Education strategy. Veronica serves as an advisor at a variety of institutions including the Asia Society, Association of American Colleges and Universities, Council of Chief State School Officers, the Socio-Environmental Synthesis Center, the International Baccalaureate, WorldSavy and Global Kids, among others. She teaches at the Harvard Graduate School of Education and has taught the University of Buenos Aires. She is the author of multiple papers and books including “Educating for Global Competence: Preparing our youth to engage the world” (2011) with Tony Jackson.